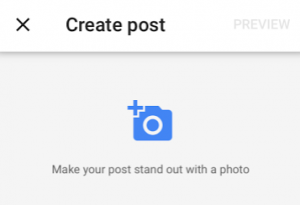 I became intrigued with this yesterday reading a post from Mike Blumenthal titled Google Posts Rolls Out Worldwide. 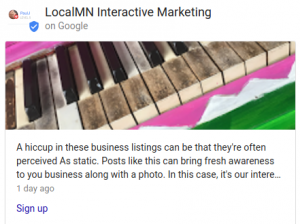 You can now own more search engine real estate by providing short, recent posts, right on your Google Local Business Knowledge Graph. Google recommends these posts be between 100 and 300 characters long (plus a quality photo). We recommend sticking closer to 100. This reads well for the user, plus Google only originally displays the 1st 100 characters in the listing. For the photo, use one similar that you would use for Instagram. Google lets you crop it and move it around all slick like until it’s just right for you. 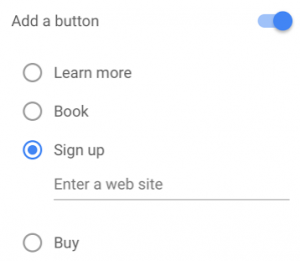 You can place a call-to-action to these posts with a URL whether it’s to entice users to buy, visit your site, book a reservation, sign up for a newsletter, or whichever you want your call-to-action to be. For you businesses who wonder if you should start a blog, this just may be it. At least, Google hopes you think so. You would give consumers fresh, compelling content right in front of them while keeping the content within Google itself. In Google’s announcement, they give you 4 standard examples. Let’s customize a few to the Twin Cites letting customers know of these all while just doing branded searches for you. Local summer road closures – ‘Tis the season. We all see it. Proactively let your customers know of this coming weekend alternative routes to you. Date Specials – Some local restaurants have weekly date specials such as pizza and 1/2 off bottle of wine. Keep your customers informed. 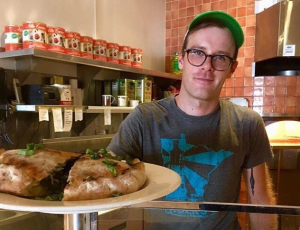 Events at local areas of interests – Summers are full of different events at places like Loring Park, Mears Park in Lowertown, Stone Arch Bridge and St. Anthony main. Keep customers informed and up-to-date on all the different events at the users favorite places. The list could go on and on. Just be creative. Note: This can be all done on a laptop, but you can do this all on the mobile, too. Give it a try and keep up to date since this is where your users are going. When using the mobile to log into Google My Business, this screenshot is of a very user-friendly way to create these posts. Of course, being Google it’s easy to share to other places. curious to how it’s perceived on Facebook so I sent this out. Share or not share on other places? Will local businesses catch on? This is still brand new so the verdict is still out there. Now you should have a good idea how to organize your Google Photos and the basics on how to use Google My Business to submit them to Google Maps. Now how about using your Google Photos, that you own, and place them on places that even compete with Google? Siri uses a lot of business information including photos from Yelp. Your business can sign up to Yelp for free to where you can upload your organized Google photos. Of course there’s Apple Maps itself. You can sign in to Apple Maps Connect for free by just using your Apple ID, then add your organized Google photos. Speaking of Apple, many don’t know that Apple Maps is the default when you open your iPhone box. You could be searching Yelp results without even knowing you’re talking to Siri. Just like Google, it’s important to add titles, descriptions and (geo)tags to each, individual photo. As well, you can do these either on a desktop or mobile with their apps. Whichever is more convenient for you. Why would you do this for all of these sites? Because Google loves these sites. If you do a branded company search and the businesses have done this, not to mention your own site, the first page will be flooded with your portals. It’s even better for the user. Depending on their wants, they may specifically be looking for your Facebook page, Instagram feed or even Pinterest boards. In the end, you still have all of your Google photos, organized to your needs or liking. All of this is a time saver, organizer, SEO tool, and user tool all wrapped into one. The time it takes you to do this is valuable, although the outside costs can be as little as nothing. 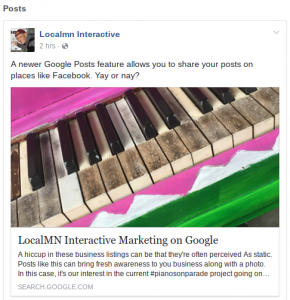 LocalMN Interactive offers full local search services which includes this, photography of your business and even overall digital marketing. Contact us to learn more.